Anthony Fry has stepped down as chairman of the Premier League because of illness. The 59-year-old was appointed in June 2013 but the corporate financier suffered a stroke in March 2014. Fry said in a statement: "I am delighted to be making significant progress with my recovery. On the advice of my doctors, however, I need to scale back my business activities." The Premier League is yet to announce who will replace him. 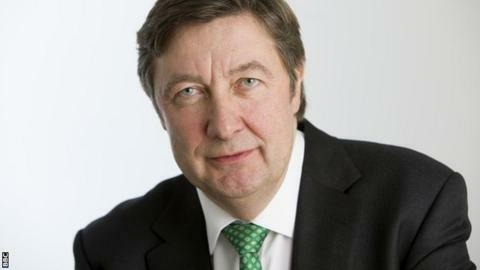 Fry, a former BBC Trust finance committee chairman, succeeded Sir Dave Richards, who stepped down after more than 14 years in the role. Fry added: "It would not be fair to the Premier League, nor its member clubs, not to be able to continue to give (more) commitment. "I would like to thank the Premier League for its understanding and support during what has been a very difficult time. "I am sure it will continue to go from strength to strength as an impressive, professional and progressive body as well as a fantastic football competition." Chelsea chairman Bruce Buck, who is a member of the Premier League committee, said: "It is absolutely right for Anthony to concentrate on making a full recovery."